Our Affiliate program is for you. Join our affiliate program and start earning money for every user that you refer and become a Premium user of Metricool. You will have a unique affiliate link to offer Metricool’s potential users. You will get special offers for your audience to increase the conversion rate of your networking. 50% commission rate for the spending of your users each month (up to $50 per user). We will provide you with banners adapted to your style and exclusive information about the characteristics of our tool. Our cookies don’t expire (as long as the user doesn’t clear the web browser’s cache). 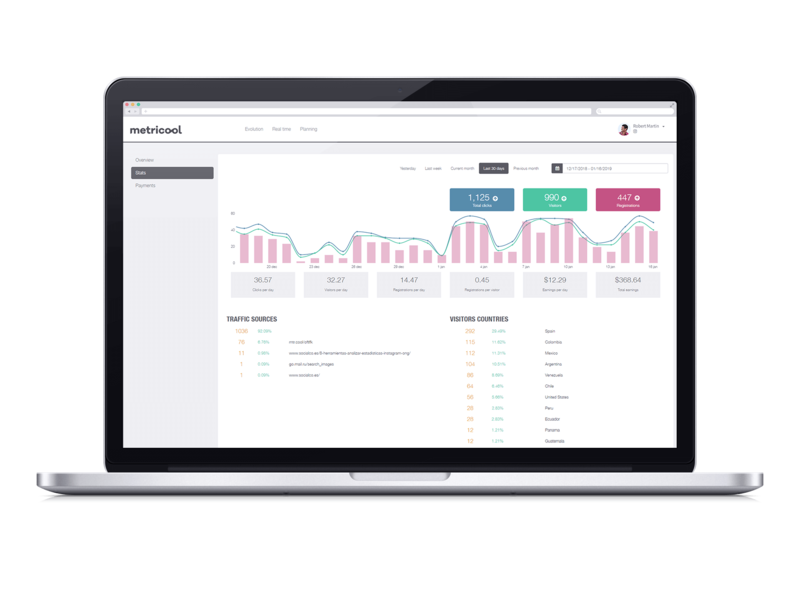 The affiliate dashboard will let you know how much you have earned and how your campaigns are performing. You will be paid through PayPal when you have accumulated a minimum of 100 USD on your account. Send us an invoice by email or Metricool’s chat. You will be paid immediately dafter receiving your invoice. or register and activate it if you haven’t done it yet. Know all Metricool features to achieve the best performance of your activity as an affiliate.